Hi Crafters, Justine here with a new card idea for you. This is quite simple to create. 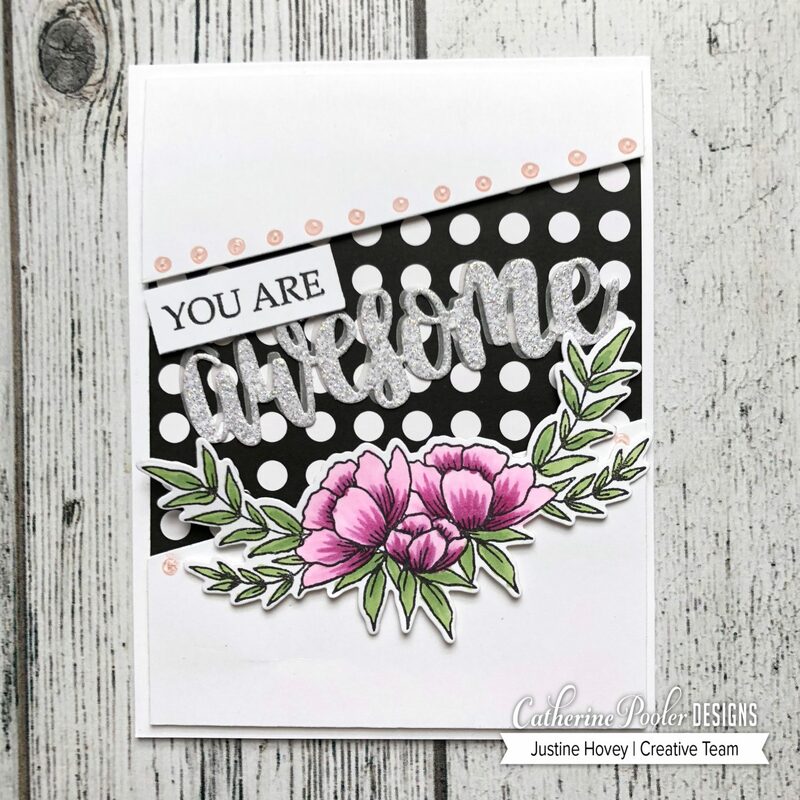 On an A2 card base, glue down a piece of patterned paper from the Black Tie Gala Paper Pack that measures 4×4 inches in the centre. Grab a separate card panel that measures 4 x 5.25′ and cut out a diagonal area in the centre. Adhere the top and bottom pieces with foam tape. Now you have the background to work on. Next is just the embellishments. Die cut the Awesome die in silver glitter paper and vellum. 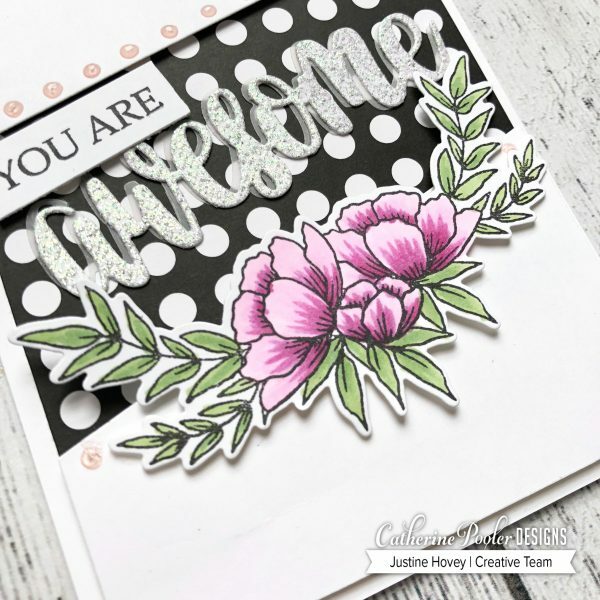 Additionally, stamp out the flower from the Grateful Hearts stamp set (you can stamp it on the centre piece you cut out to prevent any waste). Die cut it using the coordinating dies. I coloured my flower very simply without a lot of layers using Copic Markers. 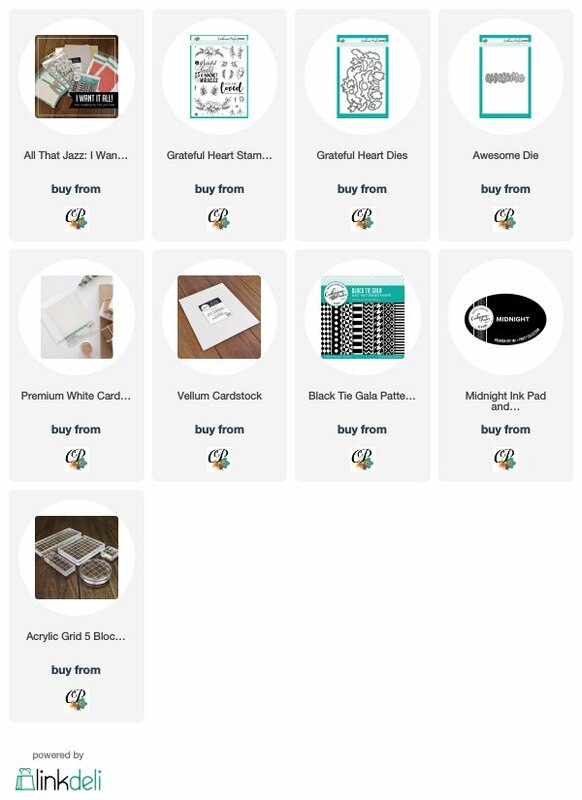 Thanks for having me as a guest on the blog today! If you're interested in more ideas and video tutorials, check out my YouTube channel!